What Does John 15:5 Mean? When Jesus Christ, the Son of God walked the earth, He demonstrated this truth, for He lived His entire life in utter dependence upon the Father. 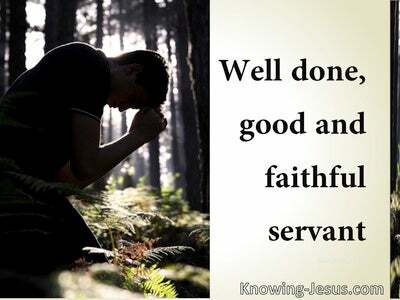 I can do nothing of Myself, He said, I speak only that which I have seen from my Father. Though Jesus Christ was fully God, He lived His life in His humanity. 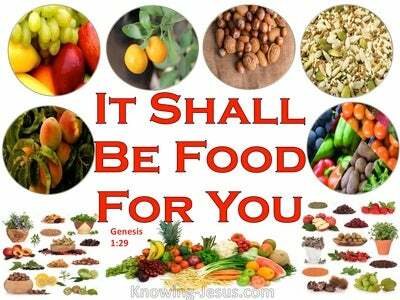 Jesus lived as God intended man to live - in utter dependence upon God. 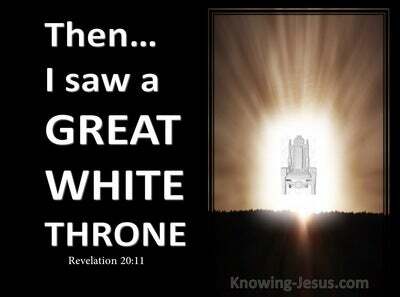 Christ walked in spirit and truth and only said and did those things that He heard from the Father. He demonstrated how man should life. He lived His life so that the life of God could be lived through the Son of Man in His humanity. Although Jesus Christ was fully God, He drew all His strength from His Father in heaven, demonstrating how you and I should live our lives as God's children - drawing all our strength from our Lord Jesus Christ, for without Him we can do nothing. 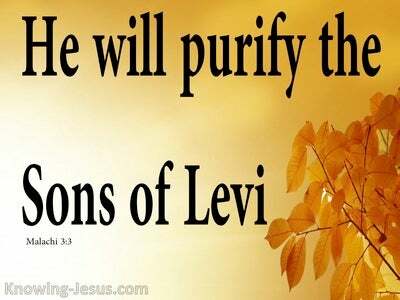 We are to walk in spirit and truth and to do only those things that we hear from Christ our Saviour, so that His life may be lived in us and through us. Until we humbly confess that in and of ourselves we can do nothing, we will foolishly and unsuccessfully attempt to produce good fruit in our own strength. 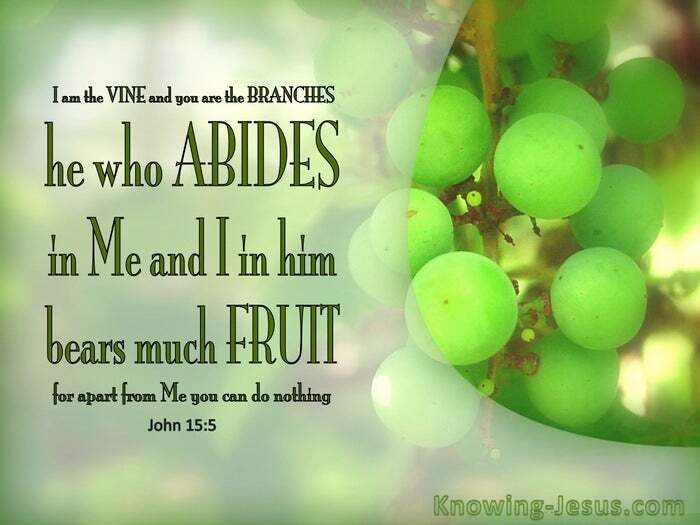 Let us meditate on this vital principle - that JESUS is the vine and we are the branches. 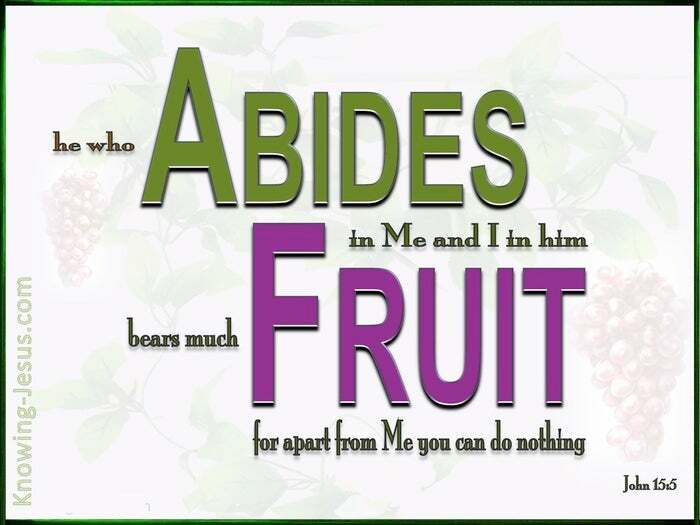 We are to abide in HIM and allow HIS Spirit to live HIS life through us, just as He abode in the Father and did only those things that He heard from the Father - for apart from Me you can do nothing.